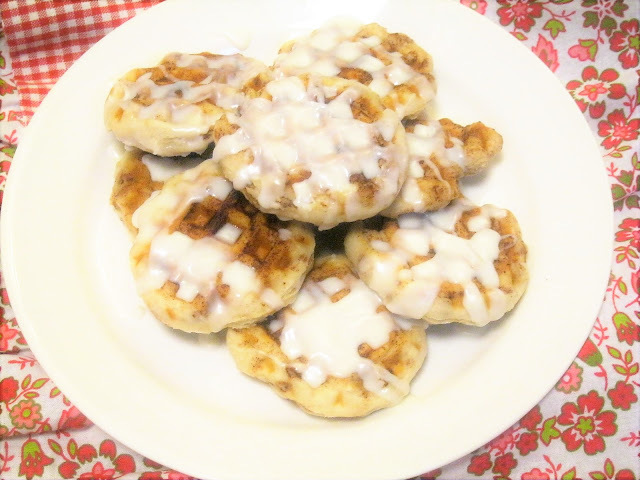 Grab your waffle iron instead of your baking sheet for this fun version of cinnamon rolls! I promise your family will be gobbling them up so fast your head will spin! Remove waffles to a serving plate. 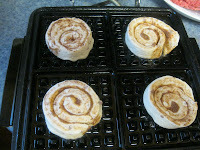 Spray both top and bottom of waffle iron with non stick spray and repeat the cooking process for the remaining 4 unbaked rolls. When all the cinnamon rolls are done and piled on a plate, snip open a corner of the icing packet that came with the rolls and drizzle completely over the tops of all the waffles. you know what, I so remember seeing this too. Thanks so much for reminding me, I pinned it! You didn't? You did! These are amazing! I never would have thought of it. It's a perfect way for a quick breakfast. Maybe that's not such a good thing... ;) Thanks for sharing on Crazy Sweet Tuesday! I will have to do this!! Yummy! You crack me up! Hope they turn out yummo. Yummy! These sound delicious. Can't wait to try them. Thanks for sharing. Happy to be your newest follower! These look so delicious! 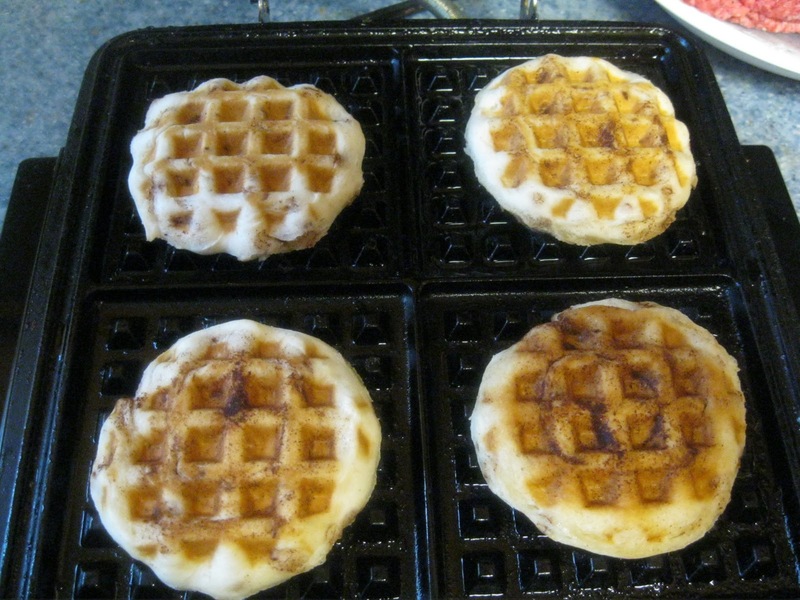 I wish I had a waffle maker! Thanks so much for sharing! ohhhh myyyyy goooooodness. YES PLEASE! 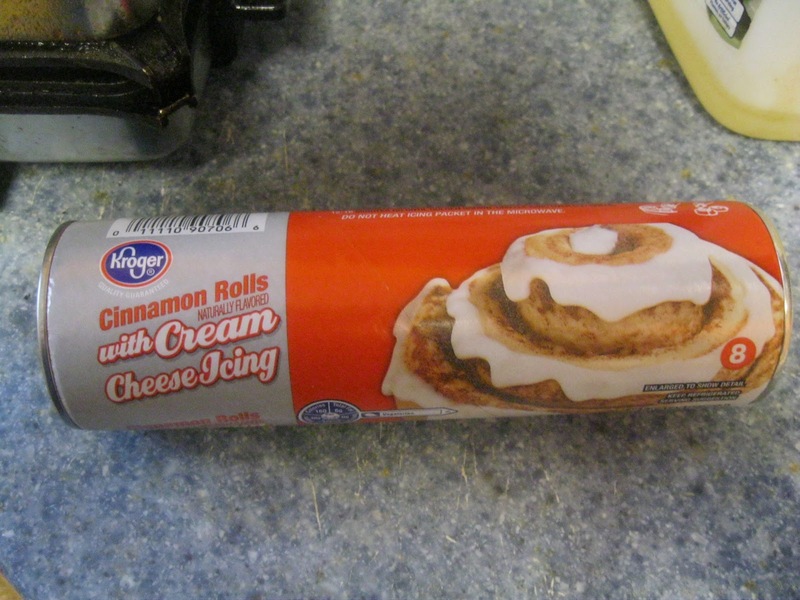 It's a good thing I'm pregnant and not trying to lose weight, Jan, or you would be my undoing. 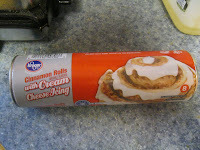 We had these for breakfast yesterday before church! Yummy and quick. 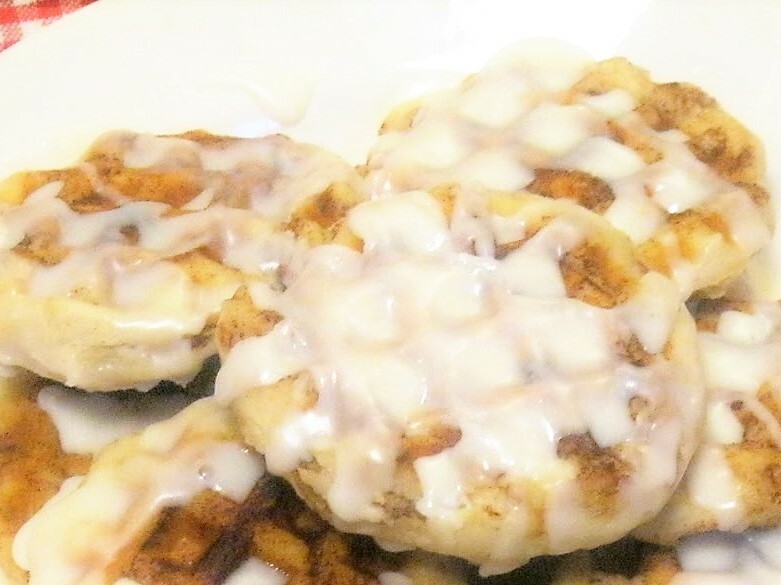 They are perfect for a quick Sunday breakfast! Glad your family like them! Thanks for the feedback! And the award goes to..... Trish! You are so sweet! Thanks for the feed back! What a great idea! I need to get out my waffle iron the next time the grandkids come over!! Thanks Kitty! You realize they may never leave if you do that right?